Looking for something different for Dad this year? How about an AMT Gift Card for that hard-to-buy-for guy in your life? If he has more ties, wallets or belts than J.C. Penney, then an AMT Gift Card is the perfect choice. It can be used toward Original Show and Celebrity Concert tickets, goodies in the concession stand and keepsakes in the gift shop. Gift Cards can be purchased in any denomination, and never expire. To make your Father’s Day gift giving simple and stress free, consider an AMT Gift Card. You can click here to purchase online, or call us at 800-648-4102 to speak with one of our helpful Reservationists. Gift Cards can be redeemed in person, over the phone, or online. 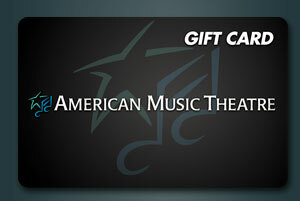 Give Dad something he’ll really love this year – Give him the gift of music with an AMT Gift Card!